Choose the color of your chopper before the game starts. 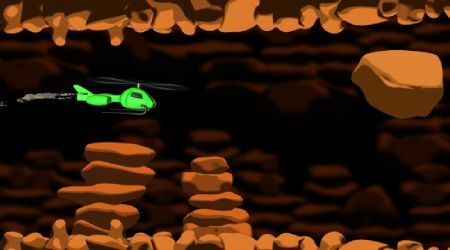 Once inside the cave, press and hold the left mouse button to make your helicopter rise. Release the left mouse button to drop down. 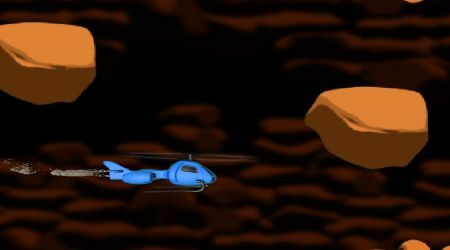 Do not hit the rocks or you will surely crash.